We offer high-quality, new and pre-owned office furniture in Ocala, Gainesville, Jacksonville, Tampa and Orlando areas, including Marion, Levy, and Alachua counties. We have a store full of new and used office furniture! 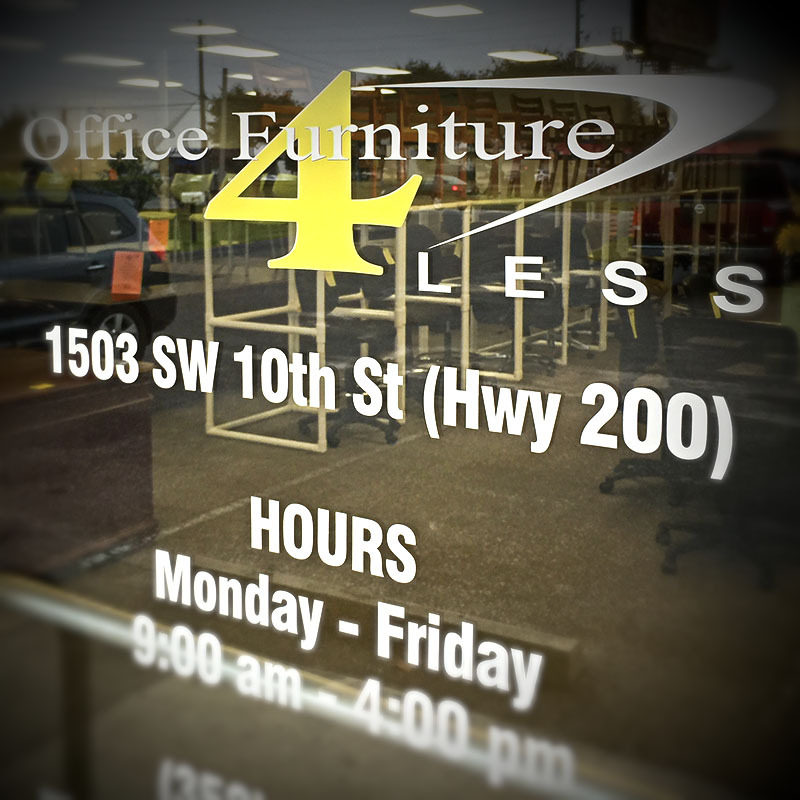 Welcome to Office Furniture 4 Less! Visit our store in Ocala to see the very finest in New & Used office furniture for your small or large business! Located in Ocala, Florida, Office Furniture 4 Less will satisfy your office furniture requirements for small and large businesses in Ocala. We have a huge selection of office furniture, furnishings and workstations, from many of the world’s greatest Manufacturers, at the best prices available anywhere. We service Ocala, Gainesville, Jacksonville, Tampa and Orlando areas. Including Marion, Levy, and Alachua counties. Call us now in order to get the best new and used office furniture – we have it all! If you need pre-owned desks or credenzas, used file cabinets, pre-owned cubicles or used workstations, we have them here Monday thru Friday at our huge showroom in Ocala, FL, or save on-line 24/7 with our Internet specials and factory direct shipment! High-quality, new and pre-owned office furniture is our business. We have a store full of new and used office furniture! We can make your office look like a fortune for a lot less. Office Furniture 4 Less has some of the best office furniture in the Ocala, Gainesville, Jacksonville, Tampa and Orlando areas, including Marion, Levy, and Alachua counties! Our furniture was free from blemishes and beautiful! Thanks guys for helping us out! The best office furniture store! They took care of all our office furniture needs in Downtown Ocala and we highly recommend Office Furniture 4 Less! No nonsense, got exactly what we wanted and we are able to focus on the work we do. We recommend Office Furniture 4 Less! They worked with us to get us exactly what we were looking for. Thank you again!